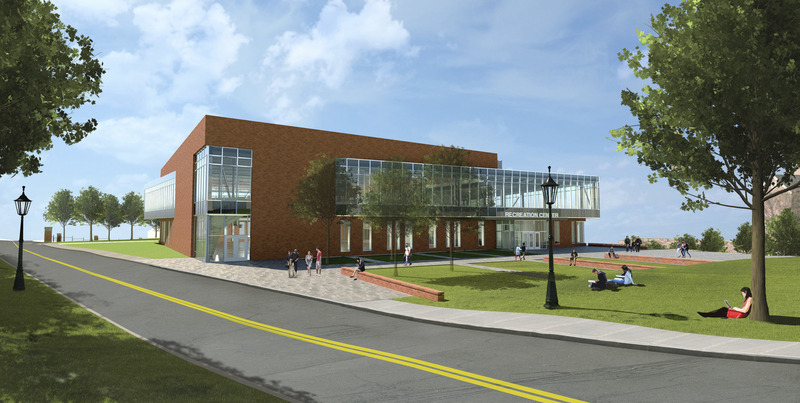 The College of Holy Cross’ Joanne Chouinard-Luth Recreation and Wellness Center will be a state-of-the-art hub for collegiate recreation, wellness and intramural sports located on the school’s upper campus. The new 52,000 sf-building – colloquially referred to as “The Jo” – will offer a wider range of fitness and wellness spaces, including sports courts, weight rooms, a golf simulator, three rooms for yoga, cycling and fitness, and a one-tenth-mile suspended jogging track. The three-story facility will also be home to club and intramural sports and house an expanded office for Public Safety. 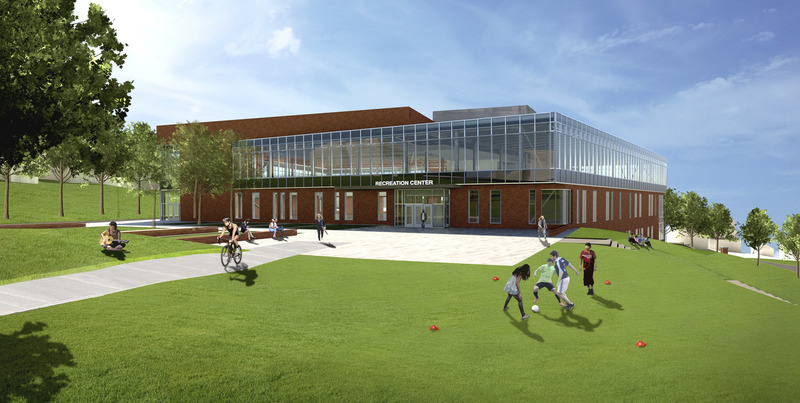 The new recreation center replaces the school’s previous Field House, an important building in the college’s history. It served as an important gathering space for recreation, intramural sports and campus life since its creation in 1947, and also hosted dances, commencement ceremonies and a memorable speech from Martin Luther King, Jr. when he visited the campus in 1962.